Between the first Southern secessions in December 1860 and the firing on Fort Sumter in April 1861, Northern states, as well as Border States, faced a dilemma. The union was falling apart, and the incoming administration had not yet made it clear what would be done to reform it, or to prevent further erosion. Political leaders across the North sometimes talked loyalty, but they often looked to their own interests or the good of their state, and those were not necessarily in sticking together under Lincoln. The Pacific states -- Oregon and California -- were separated from the rest by vast miles of desert and Indians. They held sudden power in a split government, and many of their settlers were of Southern origin. Rumors back east told that the western seaboard would attempt to separate. Meanwhile, across the country, New York City, behind Mayor Fernando Wood and Dan Sickles, threatened to secede and become a "free city." There was a more serious attempt to form a Midwestern bloc, behind the region's Democratic leaders like Vallandigham, Pendleton, Cox, Logan, and McClernand. This region still relied on the Mississippi river for its economic prosperity, and the lower reaches of that river were now in foreign hands. That left the Ohio valley states more dependent than ever on Eastern businessmen and Republicans, something they already loathed about their position. There was talk in the old Northwest of forming a confederacy of their own, or joining with the new one. In this case, economics as well a politics favored the idea. Economics and politics, too, flowed into talk of secession in southeastern Pennsylvania -- Philadelphia and the surrounding counties -- which were so hostile to abolitionists that the Republican ticket in the November 1860 election didn't even use the party name but disguised itself as the "People's party," and took up that old Whig shibboleth, "tariff protection," as its rallying cry. The tariff issue is credited with giving Lincoln his 60 percent vote in traditionally Democratic Philadelphia. Philadelphia's economic ties to the South have been well-documented since Kenneth M. Stampp outlined them in And the War Came (1970). 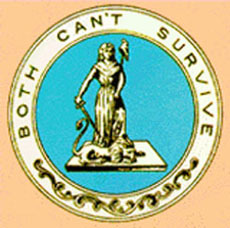 The city's merchants and manufacturers, like the Cotton Whigs of Boston, deplored the Republican moves during the secession crisis. They advocated letting the South go without resistance -- if they could not join it outright. There was much talk of this in the early months of 1861. The Pennsylvanian, a newspaper edited by a relative by marriage of President Buchanan, was just one voice advocating a Pennsylvania union with the Confederacy. Another city newspaper laid out the case plainly: "Can Philadelphia with the South cut off compete with New York in ships, in trade, and other branches of enterprise? We opine not." Prominent Pottsville politician Francis W. Hughes warned in February 1861 that Pennsylvania risked trading Southern customers and profits for a "place in some Northern fragment of a once-glorious Union." Not all the mercantile class interest in the South was pure greed. Pennsylvanians seemed particularly attached to Virginia -- a sentimental relic of Revolutionary days, perhaps -- and Pennsylvania's William Bigler in a Jan. 21, 1861, speech on the Senate floor proclaimed that "Pennsylvania will never become the enemy of Virginia. Pennsylvania will never draw the sword on Virginia." He supported the Crittenden Compromise and spoke for peaceful Southern secession. Some state leaders showed a personal devotion to the values represented by the Confederacy that cost them their fortunes and clearly ran deeper than craven self-interest. When it became clear that Pennsylvania would not join the Confederate States, George McHenry, former director of the Philadelphia Board of Trade, emigrated to London and advocated for the Confederate cause from there. Political and ideological forces also gave many in Pennsylvania a strong sympathy for the South. Many followed the thinking of their fellow citizen, President Buchanan, in taking a constitutional, non-coercive approach to the secession crisis. This was not a weak policy, as some would have it, but was rooted in a sound interpretation of the Constitution and old-style federalism. Robert Monaghan, a leader of the Chester County Democrats, told a militia organizer before the war started, "If you go down there to shoot, damned if I don't go down there and shoot back." William B. Reed, a leading Philadelphia Democrat, called for a Pennsylvania convention "to determine with whom her lot should be cast, whether with the North and East, whose fanaticism has precipitated this misery upon us, or our brethren of the South whose wrongs we feel as our own." Robert Tyler, former chair of the state Democratic Executive Committee, wrote, "should the Border States join the Southern Confederacy within one, two or three years, it would then become a most serious question to determine the political status of Pennsylvania and New Jersey in that relation." And George W. Woodward, chief justice of the state Supreme Court not only argued for the South's right to peaceful secession, he added, "I wish Pennsylvania could go with them." In a study of Pennsylvania newspapers before Fort Sumter, 17 of the 23 Democratic newspapers examined "supported some sort of secession." Out of the 31 Republican papers, eight also supported the South's right to leave the union. The Harrisburg Patriot and Union on April 9, 1861, summed up a feeling echoed from many presses: "If this administration wickedly plunges the country into civil war, it will be a war between the Republican party and the Southern States." Mass meetings in the months before Sumter "stressed the North's offenses against the South" and called on Pennsylvania "to choose between 'fanatical New England' and 'the South, whose sympathies are ours.' " ... "Abolitionists, blamed for the crisis, were more detested than ever. ... Peace rallies persisted through January, February, and March." All this and more can be found in "Philadelphia, a 300-year History," the standard modern comprehensive history of the city, in a chapter tellingly titled "The Border City in the Civil War." There was a rush of patriotism after Sumter, and the attack on the flag galvanized the citizens behind the administration in Washington. Leading Philadelphia secessionists like Tyler were run out of town by mobs. Others kept quiet. "There are a great many men here who are for the South," a Philadelphia letter of May 16, 1861, reported, "but they cannot say a word for fear of being hung or put in prison or being shot down like dogs." But patriotic solidarity for Lincoln's war began to ebb as early as the summer of 1861. "Enthusiasm faded everywhere of course, but in Philadelphia it gave way to especially bitter dissention, as the city's traditional sympathy for the South and antipathy toward the black man once again clouded its dedication to the Union." The city's first families were never for Lincoln, and Sidney George Fisher in his biography says he was the only Lincoln-defender in his social circles. A tavernkeeper, speaking at a pro-Southern meeting in Kirkwood, Lancaster County, in August 1861 said: "I am in favor of secession, and believe the South are justifiable in their rebellion and hope they may succeed. 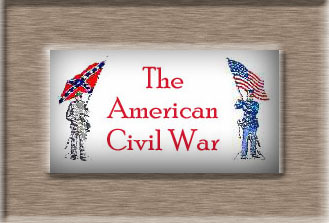 The war is an abolition war, made by an abolitionist administration for the destruction of the South. ... The object of the administration was to liberate the negroes in order that the people of the North might be enslaved. For if the free negroes come North how would the white laborer make his living?" He added, "I am for the whole country, North, South, East, and West; all except God-damned New England." based on analysis of regimental records from Virginia, a startling 2,000 Pennsylvanians are believed to have fought in the Confederate armies -- and that is a "very conservative" estimate. Among the best-known is Wesley Culp, born and raised in Gettysburg, who moved to Virginia before the war, enlisted in the 2nd Va. Infantry, and was killed July 2, 1863, during the Stonewall Brigade's attack on Culp's Hill, within sight of the house where he had been born. 1. Roy Franklin Nichols, The Disruption of the American Democracy, N.Y.: The MacMillan Co., 1948, pp. 394-402. 2. William C. Wright, The Secession Movement in the Middle Atlantic States, Cranbury, N.J.: Associated Universities Presses, 1973. 3. Russell F. Weigley, ed., Philadelphia: A 300-Year History, N.Y.: W.W. Norton & Co., 1982, p.402. 4. "Village Record" newspaper, West Chester, Pa.
5. Christian B. Keller, "Keystone Confederates: Pennsylvanians Who Fought for Dixie," in Blair, William, and William Pencak, eds., Making and Remaking Pennsylvania's Civil War, University Park, Pa.: Pennsylvania State University Press, 2001.